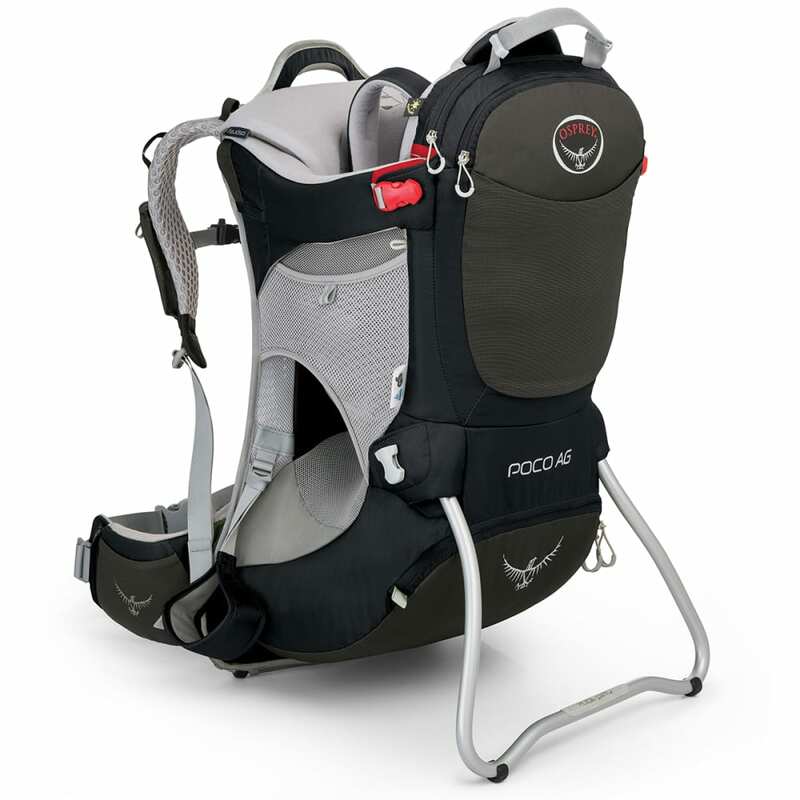 To keep your back, shoulders, and hips from aching when you take your little one for a walk, Osprey incorporated their award winning AG (Anti-Gravity) backpacking suspension system into the Poco AG? ?child carrier. Lightweight aluminum stays provide load stability and the mesh shoulder harness and backpanel combination keeps you comfortable for the long haul. Dimensions: 29 x 15 x 14 in.